Five players from the Connacht rugby squad have been named for the Irish side for the upcoming Guinness Six Nations. Jack Carty, Caolin Blade, Tom Farrell, Bundee Aki and Ultan Dillane are representing the west on the 38 man squad announced for the first two rounds of the Six Nations. Half-backs Carty and Blade have both come up through the Connacht Academy after playing for the Buccaneers and Monivea RFC. Carty, who recently signed a fresh two year contract with Connacht, first played for the province in 2012, the same year he featured for the Ireland U20s at the Junior World Championship. 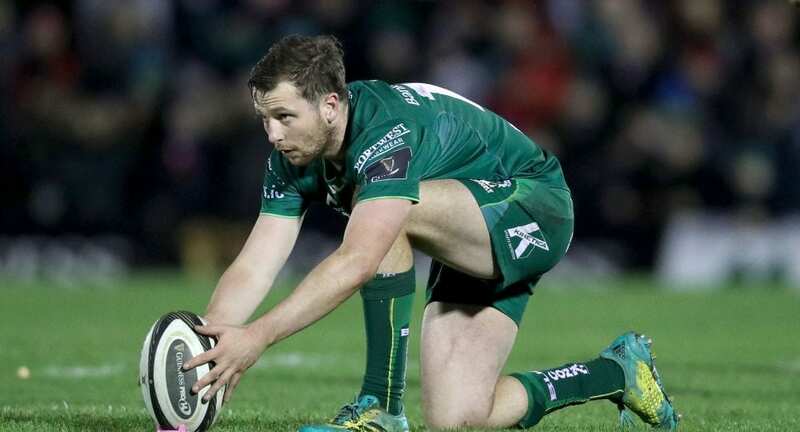 He’s appeared for Connacht 119 times since then and in this season’s Guinness PRO14 he’s second on the table for points scored. Blade has appeared for Connacht 82 times since debuting in 2014 and also represented Ireland at U18 Clubs and U19 level. He’s the only player who made an appearance in every game that Connacht played this season. Tom Farrell will appear in midfield after two good seasons with Connacht. He joined from English Championship side Bedford mid-way through the 2016/17 season and has continued to feature heavily. Ultan Dilane will be hoping to add to his 11 national caps after making his international debut at the 2016 Six Nations against England. “There have been a number of tight calls across almost every position,” he finished. Ireland’s run in the Six Nations will kick off on February 2 against England.